We are happy to host the work by Karlheinz Essl on Audiotalaia, specially when it comes hand by hand with Valencia musician Víctor Trescolí, whose enthusiasm and good work has captivated us in many occasions. Trescolí as a classic trained pianist is always eager for new sonorities, it seems that he’s always looking for alternative paths to what he has learned over the years as a pianist. A very good example of this is the determination to approach Toy Piano in new ways, and understanding this specific instrument not as an anecdote, if not as an instrument with tremendous capabilities. Here is where Essl and Trescolí join forces to deliver this works composed by Essl and performed by Trescolí. This concert, held at the Polytechnic University, on a brand new auditorium, was the culmination of a long term collaboration in which Trescolí had been performing pieces by Karlheniz Essl on various venues in Valencia and abroad. As many of Essl’s pieces, those are free to be performed using Max MSP as a digital tool to transform and tweak sound in a very precise way. Even that the compositions are specifically arranged, those rely on a variety of situation where chance has a big role. It seems that apart from creating fixed compositions, Essl wishes to leave certain scenes of his pieces as surprises for himself, the listener and even the software. Finally, apart from scores and planning, things are left on the realm of randomness, chance and fortune. For toy piano and live-electronics. Víctor Trescolí: toy piano. Karlheinz Essl: live-electronics. For extended piano and live-electronics. Víctor Trescolí: piano. Karlheinz Essl: live-electronics. For amplified toy piano and ringmodulator. 04. Whatever Shall Be (2010). For toy piano, dreidel, chop sticks, music box with live-electronics and surround sound. All tracks composed by Karlheinz Essl between 2005-2010. Performed live by Víctor Trescolí (toy piano, piano) and Karlheinz Essl (live-electronics). 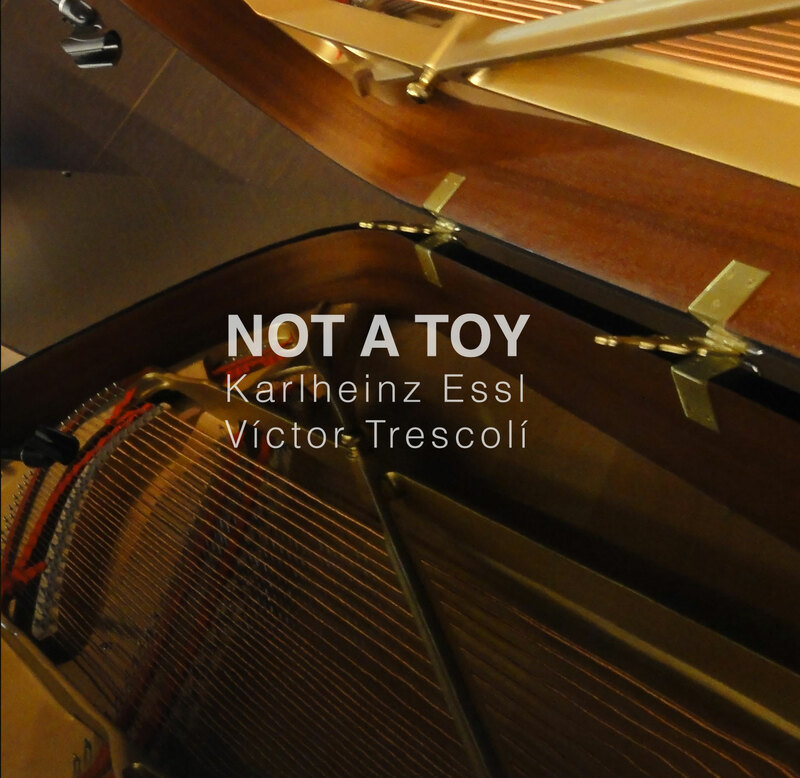 The recordings on this release are an excerpt of Essl Monographic´s Live recording, recital with compositions by the Austrian composer Karlheinz Essl which are focused on piano, toy piano and electronics. The concert was held at New Theatre of the Fine Arts School Alfons Roig at Universitat Politècnica de València. 27 Apr 2012. The recordings on this release are licensed under a Creative Commons Reconocimiento-NoComercial-SinObraDerivada 3.0 Unported License. Creado a partir de la obra en http://archive.org/details/at057EsslMonographic. Permissions beyond the scope of this license may be available at http://www.audiotalaia.net/catalogue/at057-essl---trescoli/.